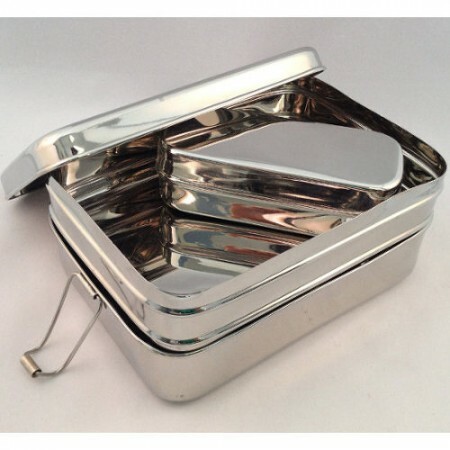 The Sustain A Stacker 3-in-1 is a clever and compact 3 compartment lunchbox set made from 202 food grade stainless steel. Reusable, hygienic, durable, recyclable and will never leach harmful toxins. Browse our other safe lunch boxes & wraps. Sustain A Stacker 3-in-1 lunchbox set is due back in stock end of March 2019. Please be sure to enter your email address to receive a notification once they are available to order. Tired of using leaching plastics? This three in one lunch box set is an alternative that is beneficial to your health and the environment. The Sustain A Stacker provides a roomy and versatile combination of space for you to easily pack a safe waste-free lunch. 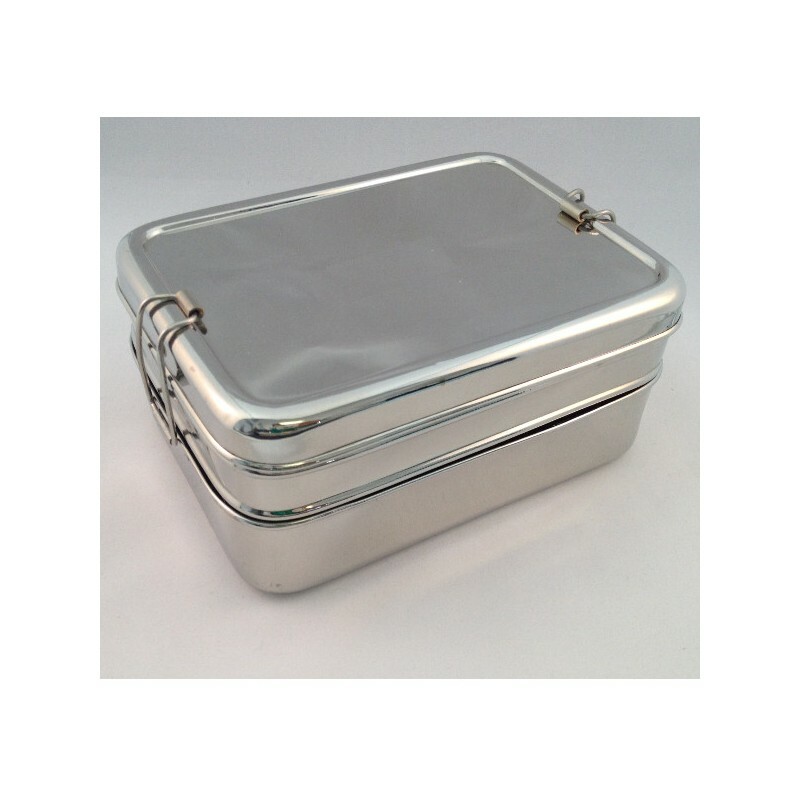 This clever and compact lunchbox includes 2 large rectangle compartments that nest & clip together plus 1 small container to fit inside the top layer or be used separately. Please note that the lunchboxes are NOT leak-proof, so are not suitable for liquids. Manufactured with 100% 202 food grade stainless steel, BPA-free, vinyl-free, PVC-free and lead-free. 2 x roomy rectangular layers which easily clip open and close. 1 x smaller container with lid for nesting into the top layer or use separately. Loving this Stacker...encourages me to bring lunch to work everyday! Extremely secure when it shuts, no spillage at all. 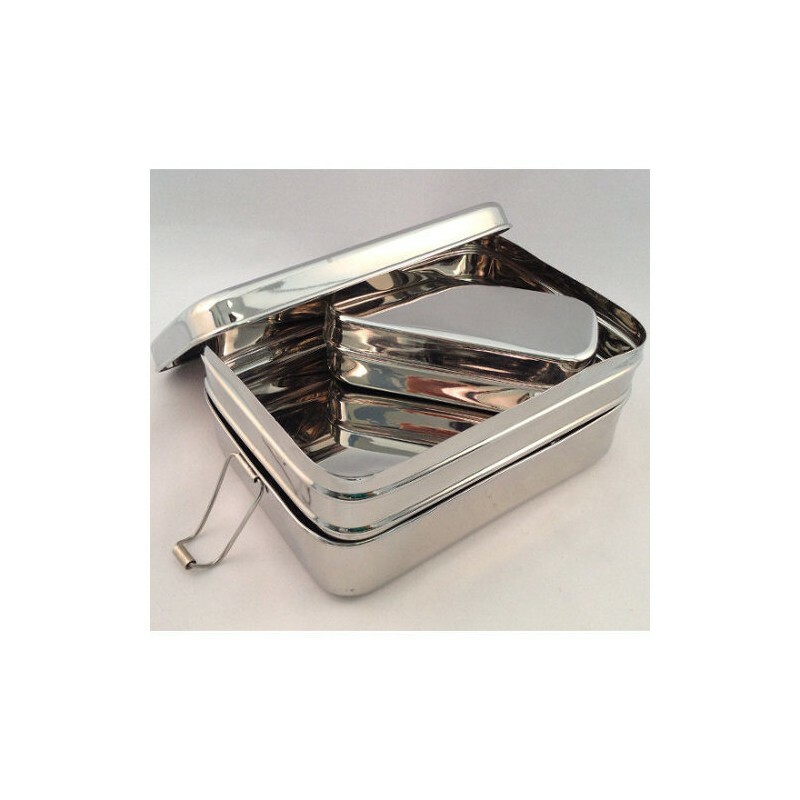 I have been using my 3 in 1 metal luch box for about a month now and I really enjoy it. I love bringing it out with me because then other people might think about about it for at least a millisecond. The only thing I have to say is that the small containers lid has slipped off before and almonds went all through my purse but it wasn't too much of a hassle to clean up. Just make sure you don't overfill the small container and you should be fine. This is a great size lunch box for my toddler. It can fit surprisingly lots in it! It's easy to open and good quality. The dip container is great for dips/sauces or a special treat.